Who Are the Lawn Masters? Lawn Masters featuring Mole Patrol is locally owned and operated in Newburgh, IN. We are a Mom & Pop company that started serving the Tri-State area in 2007. The owner, Jerry Rogers, has been working full-time in the lawn treatment industry since 1991. Jerry credits his first boss, Randy McGuire, with teaching him how to make a lawn beautiful. Solving problems for customers was another important lesson that was learned early in his career. From many years of experience, Jerry and his team have become experts in diagnosing turf, tree and shrub problems and helping to find a solution. A big problem many homeowners face is mole damage to their lawn and landscape. The Mole Patrol team at Lawn Masters has spent many years developing the best eradication methods. Now, we have proven treatments that will eliminate all existing moles and keep new moles from coming into the property. 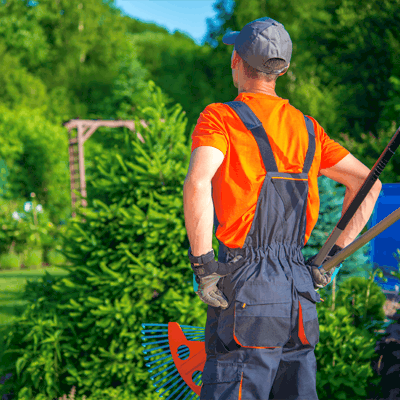 This is a major breakthrough for the lawn care industry and a huge relief for Tri-State homeowners and property managers. Lawn Masters remains on the forefront of lawn & landscape treatments by staying current with improved products and continuing education. Our incredible team of specialists are smart, dedicated and trustworthy. They take great pride in their work and love to make lawns and landscapes beautiful. Expert customer service and proven results are the keys to success at Lawn Masters. From the first phone call, you will be greeted with a friendly voice and a helpful heart. We want our customers to know they aren’t just a number but rather a friend who we can help. If you need a service for your home that we don’t provide, we will refer you to someone we trust that is an expert in that field. It’s easy to see why Lawn Masters featuring Mole Patrol is the right answer for your lawn and landscape needs. Contact us today and find out we can help you have the lawn and landscape of your dreams.